You might ask: Don’t we need good references and examples to truly make something of ourselves? Well… you guessed right, the answer is YES. Do you plan on re-living another man’s destiny? Do you wish to replicate another man’s life while yours stays waiting to be lived? If your answer is NO then it is time to take a tour around yourself; your strengths, weaknesses, talents and abilities, and make that discovery no man can ever make because you are the only one with the capacity to discover yourself! You are the only one who spends 24 hours/7 days with yourself therefore no other other man (or woman) should know you better than you know yourself! 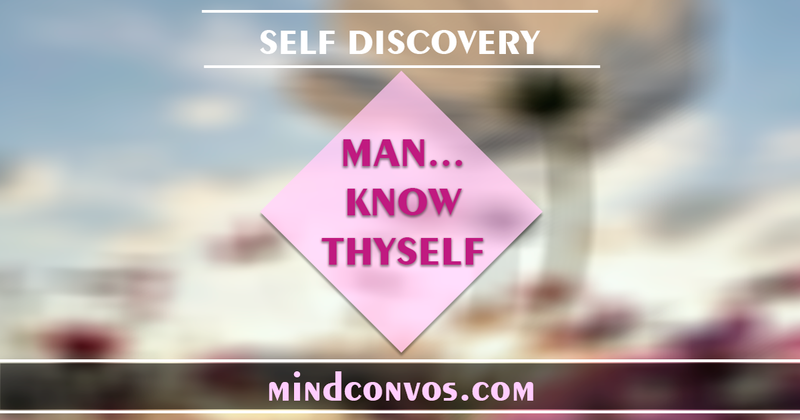 Let’s find out: why is self discovery so important?! Take a look at the world today and you will see that a large number of people in the world are living in utter confusion and frustration. According to the American Foundation for Suicide Prevention (AFSP), suicide remains one of the leading causes of death in the United States with about 40, 000 Americans taking their own lives annually. While the reason behind this may be vary, chronic depression is a major symptom which drives a person to commit suicide. Many people struggle with depression on a daily basis and the rise of the digital age- social media – plays a major role in this. With friends uploading pictures and information to show off the high points of their lives, all the glamour and glitter of celebrities brought to you in an instant via your mobile phones and so on. The world seems to be moving really fast and a lot of people who tend to feel left behind, struggle on a daily basis to catch up with the world. They put in so much effort to live up to the standards imposed on them by the society they live in. Many have lost their identity and some don’t even have a clue as to who they are… hence, they remain confused and frustrated all their lives. In this world, a man who doesn’t “know” himself would be so easily swept up and lost in the wind of conflicting opinions and ideas of others. On the other hand, a man who knows and understands himself knows his place in the society he lives in: his strengths and abilities, his weaknesses and is also aware of his mistakes. He knows he is not perfect and is also aware of the imperfections of others. Hence, he is not unnecessarily judgmental neither is he easily daunted by the destructive criticisms of others. He therefore, wins the admiration of friends and enemies alike. His opinions are respected whether they agree with the situation or not. Self discovery is the first and major step to developing unwavering self confidence. Taking time to study other people is not a bad thing rather it is an important step to discovering yourself. When your desire to know others, to learn from people who have amounted to something in life is backed up by a strong purpose, one that entails acquiring knowledge for personal development also, backed up by an urge to make something great out of your own existence, then you are well on your way to greatness and/or fulfillment. Do you constantly feel a certain desire to impress people or a certain category of people? Do you feel depressed whenever you see other people’s updates about their own progress? Do you feel unusually depressed or sad whenever you get insulted or criticized? Do you at any point feel like you’d never be fulfilled in life? If your answer to any or all of these questions is yes then you’ve got a lot of work to do. Don’t just sit there and whine about how pathetic your life is, or how things don’t seem to work out well for you compared to your peers. It is obvious that you have been living in ignorance all this while. Therefore waste your time and your life no more and embark on one of the most rewarding journeys you can ever imagine: THE JOURNEY TO SELF-DISCOVERY. Did you find this post helpful? Do share with friends and family and don’t hesitate to give your opinions and thoughts in the comments box. In life, we’re all hunting for treasure. The difference is, we each have different treasure maps, and we each have different treasure to hunt for. Going after another man’s treasure while mine waits to be found is not wisdom! Also, going after another man’s treasure makes you a thief, a “treasure thief” Haha.